I have one request for the test cases post, and in this post I am going to cover the test cases for digital camera. I have tried to jot down some of the most common test scenarios that you can easily find while working with the digital camera. Feel free to let me know if you need any modifications or have any suggestions for these usage based cases. Let’s assume the digital camera in the picture. We are going to ignore the computer interfacing of the camera. So let’s just strictly focus on the use cases and the specification based test cases. 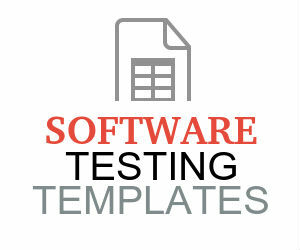 You can write additional test cases for the USB interfacing and the storage related test cases. That would give you enough more data to cover tests. Check the below image for the digital camera for our test cases. You can be more specific with any camera and come up with the test cases if you want. Switch on the camera and check if it turns ON. Switch off the camera and verify if it turns OFF. Click the photo and check if the camera pick up the still image of the object under target. Hold the camera and check if the camera holds the focus on the objects automatically. If the camera is flicking then check if it focuses on the particular object under focus. Turn on the flash and flick the camera to see if that turns on the flash. Turn off the camera and then click on the flick and check if it turns off the flash. Take the picture from camera and randomly and see if after taking the picture camera comes back to ready mode for you to take another picture. Check if the pictures are being saved in the camera storage. Check the default settings for the camera picture quality and the file format are as per the factory settings. Check if the night mode is off by default. Check if setting the night mode during the day does not dilute the picture quality. Check if the setting the night mode turns on the setting for the night mode. Check if the photo is deleted after deleting the photo from the menu on camera. Check if the camera offers confirmation before the photo deletion. Verify if the photos are saved sequentially in the camera storage or the data card. Verify if the camera shows the photo in the descending order (i.e. the images taken last should be displayed to the first taken). Verify if the red eye removal setting turns off the red eye in the image. Verify if the HD mode activation keeps the camera in that mode unless deactivated back to normal. Verify if the camera is able to detect the face in the target picture region. Verify if the camera is able to detec the pets in the picture under focus. Check if the camera shows the notification when the storage is full or being filled. Check if the camera shows the notification when the battery is drained. Check if the camera shows the status for the battery capacity. Check if the camera shows the status for the storage capacity. Verify the menu navigation buttons function as per the specification. Verify the menu navigation buttons are operable. Verify if the zoom button activates the lens in front of the camera. Verify if the zoom lens gets closed when the zoom is deactivated or if the camera is turned off. Verify if the camera accepts the SD card as per the specification for the camera. Verify if the camera detects the new SD card after insertion. Verify if the file copy from the camera to computer is successful. Verify if the file copy works on “all photos” or selective pictures. Verify if the camera shows the charged battery status after the insertion. Hold the camera and observe if the camera is usable as per the typical usage scenario. Hold the camera and take the picture and see if that doesn’t produce shaky image for normal handling scenario. Hold the camera on the tripod and see if that produces shaky images if set for standard settings. Check if the camera is smooth to handle. Check if the camera has the company logo as per the specification.